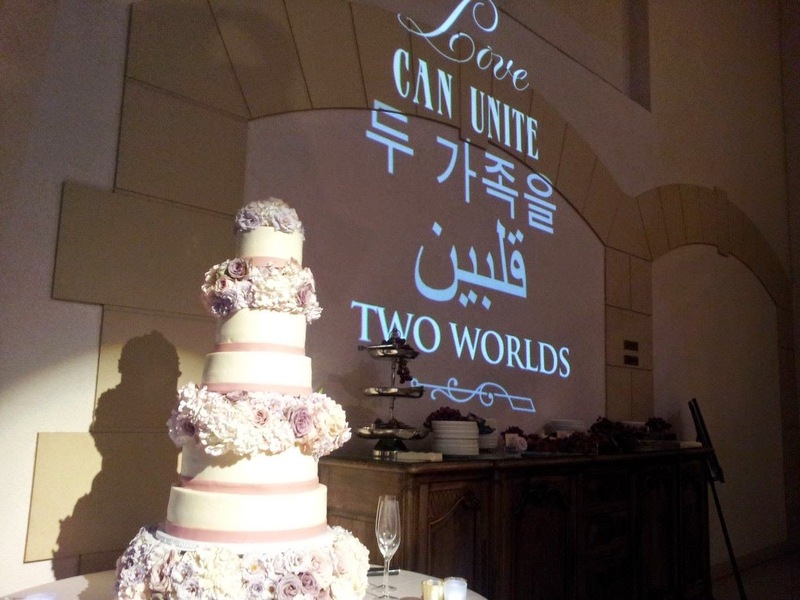 "Love can unite two worlds" was the theme of this luxurious wedding. Hooby and Jessica come from completely different backgrounds, but they are living proof that love is unstoppable no matter the boundaries. It was an absolute pleasure being a part of their wedding! Their ceremony and reception took place at the Philbrook Museum of Arts in Tulsa Oklahoma. They had a two floor wedding with dinner upstairs and dance floor, with custom all white DJ setup, down stairs. We used tons of all white wireless uplighting to highlight the already beautiful venue. We wanted to say a big thank you to Farthing Events for making this two floor event come to life. Ashley Farthing's vision and attention to detail is incredible. There was even a beautiful monogram which was written in 3 different languages. It is always an honor to work with Ashley Farthing, she did an amazing job! Thanks to Redeemed Productions, you guys rock! another beautiful wedding video! Also, it was so nice to work with Bradford Martens Photography, the pictures were, wow, stunning!